Not alone, but with a group of students from Castleton State College. We’ve been all over the southwestern US. Studying art and anthropology, we are finding both in abundance. 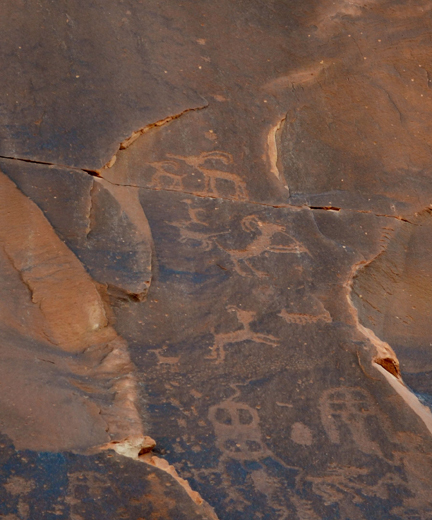 The markings left by ancient people resonate with their ancestral traditions. Art is what we have left from them. It tells their story in architecture, pictographs, petroglyphs, weavings and ceramics. 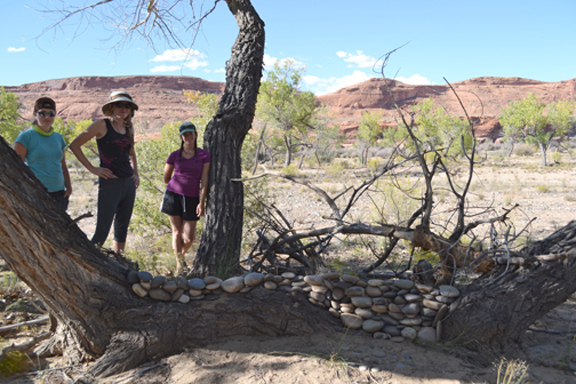 Our Castleton State College Southwest Semester group spent three days floating down the San Juan River in search of Hillerman and found both him and Andrew Goldsworthy. We had all read Hillerman’s Thief of Time. 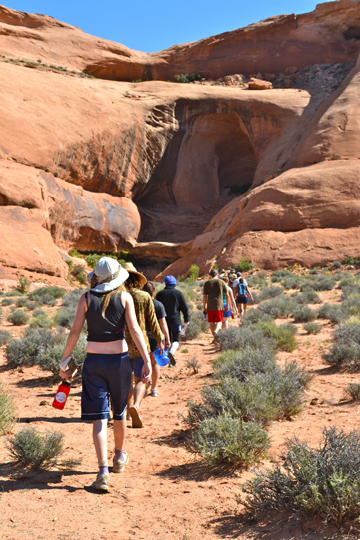 The San Juan River trip was with the same company that he used for his explorations: Wild Rivers Expeditions. Our guides were terrific: knowledgeable about the river, the ecology, geology, petroglyphs and human history. 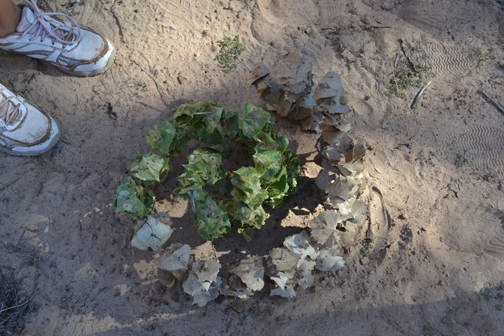 One aspect of our artful exploration was a “leave no trace” Goldsworthy project. Students were given a few hours to work in groups creating their own earth inspired sculpture. The results were diverse and lovely. 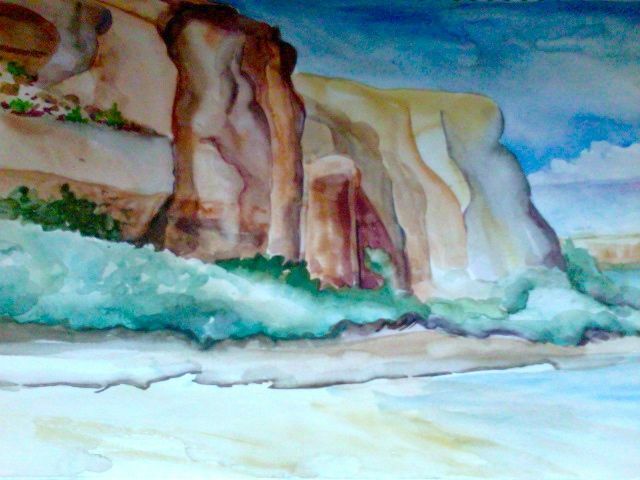 While they were working I had a little time to do a quick plein air painting as well. Then of course we took the work down to leave the river and its surroundings for someone else to discover. 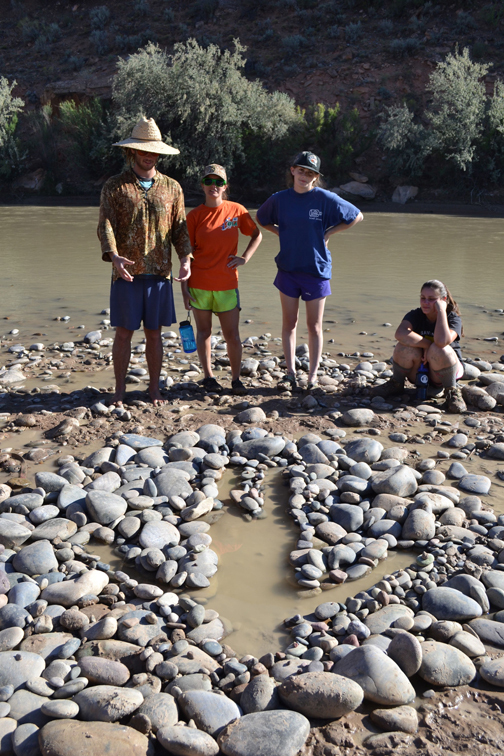 One group worked on a wall of rounded river stones. A migration spiral made out of painstakingly pierced cotton wood leaves. Thanks so much! Your work is beautiful.